Advertising can be a little invasive. Brainded India, a web poster and comic series, takes a fresh look at advertising and capitalism with their new spoof logo campaign a�� Project Vandal-Eyes 2016. Along the lines of Adbusters and Mad Magazine, the aim of the series is to make people question mainstream pop culture with satire and spoof. a�?We want people to think critically and question what is presented to them in the form of ads,a�? says George Mathen, the man behind Brainded, who is better know to Bengaluru as the illustrator, Appupen. A few months ago, they also released a webcomic featuring the superhero, Rash-traman, a satire on nationalism, which was well received. The poster series by Brainded also gained momentum, especially the Milk India Movement, a scathing remark on the state of the country. Right now, the series is inviting spoofs as a statement against subservient consumerism. They have received an overwhelming response with entries (spoofs of famous logos) from all over the country. 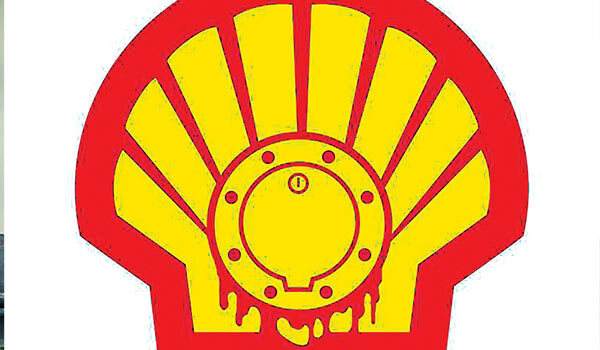 A quick browse through their Facebook page shows us a few examples, like the spoof of the Shell logo spelt as Spill, a comment on their controversial activities in the Gulf of Mexico. a�?We want to open up a dialogue with consumers and create a culture of humour and use it for dissent,a�? says Mathen, who is also busy with painting the Majestic Metro Station for the on going St+art festival.